The Proteas break away from their World Cup preparations to take on Sri Lanka in a two-match Test series, writes KHALID MOHIDIN. The Test series against Sri Lanka will disrupt the Proteas’ World Cup preparations. Having sealed the limited-overs series against Pakistan (3-2 in the ODI series and 2-1 in the T20Is) they switch formats just three months away from the all-important competition. An option would have been to give the Test-only players a run in this series and rest the players who will most likely retire after the World Cup to keep them fresh for the limited overs series against Sri Lanka. 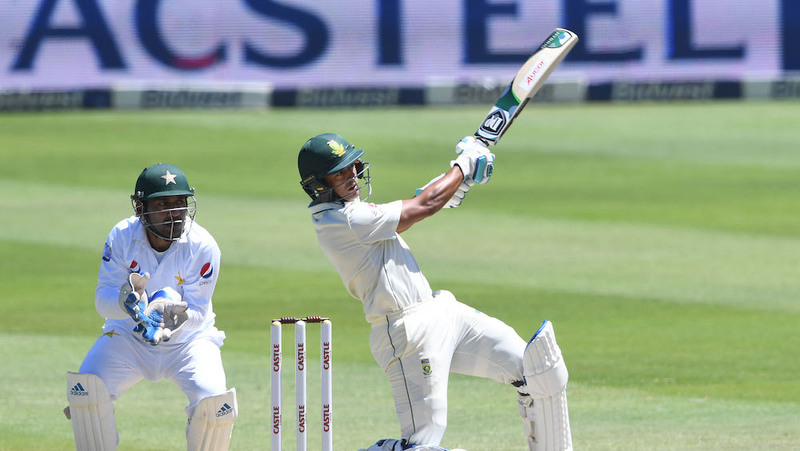 The Proteas might as well plan for their future in the Test arena and start giving their next generation of Test players a run, especially after the conclusion of the 4–Day Franchise Series. Based on the squad, however, this does not seem the case, so expect to see a very familiar Test side. It would be wise to play Zubayr Hamza in place of Hashim Amla so that the veteran can reserve his energy and focus solely on building momentum for the World Cup. Hamza comes off phenomenal form that saw him score 201 for the Cobras in the final 4-Day Franchise series match against the Dolphins. Among supporters, however, there are many who would like to see Hamza replace Theunis de Bruyn permanently. Sri Lanka will aim to bounce back from series defeats to New Zealand (1-0) and Australia (2-0) and aim to repeat their success on the subcontinent, where they won 2-0 against the Proteas in July. The Proteas have the opportunity to take revenge over the side who humiliated them 2-0 on the subcontinent, breaking their incredible winning streak in the longest format. This will also be an opportunity for South Africa to keep within touching distance of India at the top of the ICC rankings. A whitewash for the hosts will take them to 112 rankings points, four behind India. The first Test will be played at Kingsmead, a ground known for rain interruptions. What used to be a seamer-friendly strip has slowed down over the years, confirmed by home-grown spinner Keshav Maharaj in his press conference on Monday. This will favour the visitors, who have a number of spinners in their squad. Maharaj did, however, mention that there is some sun expected to be about that could harden the strip slightly, and conceivably hand the Proteas the edge. The forecast for the week shows rain will fall throughout the five days. 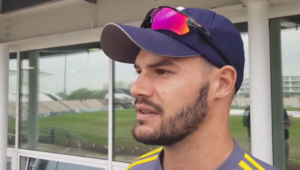 Aiden Markram will hope to put his unlucky form in the 50-over format behind him. His Test record has been sublime, making his mark against every team he has played against, except Sri Lanka. He, like most of the South African batsmen, struggled to cope with Sri Lanka’s spinners on the subcontinent. He will aim to change his luck against the visitors by continuing his form in the longer format, and so add to his tidy record of 1,241 runs in 15 matches, including four 100s and five 50s at an average of 45.96. A surprising exclusion from the Sri Lanka squad was Dilruwan Perera, who would have been the clear choice as the Player to Watch, based on his performance against South Africa in Sri Lanka where he took 16 wickets at an average of 13.00 in July. The biggest decision for Sri Lanka would be to pick the spinner they will use. Whoever spinner they select will cause the Proteas problems. I’ve decided to switch it up and pick a Proteas XI that I would like to see take the field in Durban. It could work in the Proteas’ favour to rest Faf du Plessis and Amla for the ODI series, though I doubt this will happen. The first Test starts at 10am on Wednesday.